You can then adjust the profit margin by selecting ‘Edit’ next to the new account. 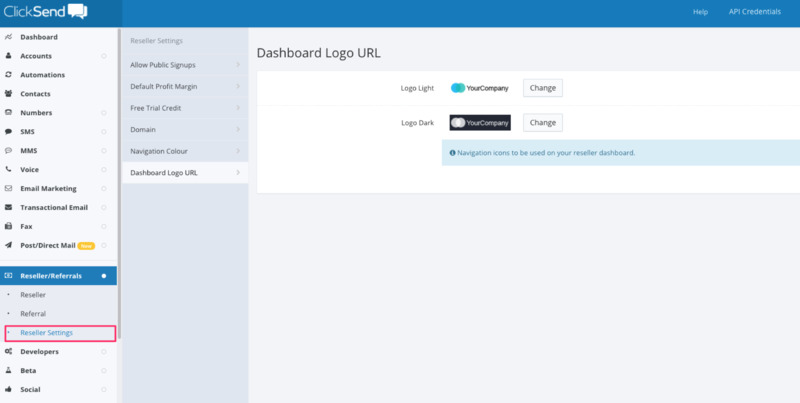 You can customise your new reseller account under Settings, such as adding in your own domain, changing the navigation colour and adding your own logo. Clients can then login using your whitelabel dashboard. The URL can be found here: https://dashboard.clicksend.com/#/reseller-settings/domain for example: myCompany.click-send.com or dashboard.mydomain.com if you want to use your own URL.